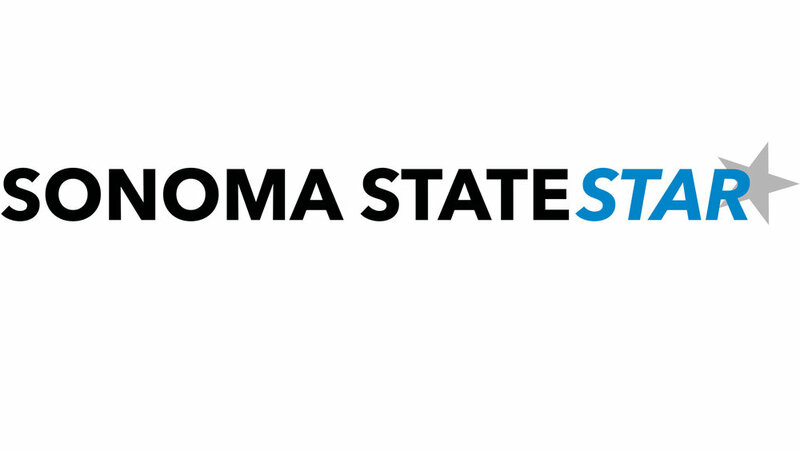 In October, Sonoma State University released a timely warning crime bulletin detailing a theft of a student’s laptop that occurred in the Student Center. The theft sparked concerns, and started a conversation among students and Student Center staff. Since the theft, a new accessory has be installed in the student center; a sparkly new charging locker to distract students from the real issues. In an interview with the Star, Director of the Student Center Jessica Way explained the school’s plan to confront the issue. Way stated the Student Center is ordering additional lockers to put in the cubby area near the Kitchens, but they won’t have a charging feature. They will work similarly to the charging lockers, however. The charging locker was put in place to essentially kill two birds with one stone: help students find a place to charge their phones as well as protect their valuables. The $7,000 installation allows students to store their phones and coincidentally is also large enough to store laptops. These charging lockers were installed after previously donated charging stands located in Sip became broken and over used. The problem with those stands, according to Way, was that students would have to stay where their phones were to prevent them from being stolen. The new charging locker would allow students to not only charge their phones, but allow them the freedom to do other things during. The Student Center has other precautions put in place to prevent thefts in the Student Center, specifically The Kitchens. One precaution is a 360 degree camera the police review, according to Way. However, the charging lockers and additional lockers are just band aids on a bigger issue. Natasha Ruble, a junior Hutchins major, works as a student assistant at Lobo’s. Ruble has worked with Culinary services since freshman year and recalls what it was like when she was a cashier in The Kitchens. “When I was a cashier, during the rushes, there is no way I would catch someone stealing a laptop, stealing anything,” said Ruble. Ruble goes on to say that as long as the camera is working and being monitored and the thefts are being investigated, these thefts shouldn’t be happening. “It’s a common area where everyone can go at any time of the day so it’s probably the most public place on campus,” Ruble said. The possibility for theft is greater in the Student Center because it draws large crowds at predictable times. Ruble believes the charging locker is a good idea for young students to keep their belongings, but doesn’t think that just one is practical. The charging lockers came from suggestions from students who needed a place to charge their phones. This is a problem many students face, but should not require a $7,000 solution. If not used on the charging locker, the $7,000 most likely would have been used for other projects and resources the Student Center is working on, including free feminine product dispensers in the bathroom, a project Carly Chatterley and Associated Students are collaborating together on. The charging locker is new and it will take time to see if its $7,000 price tag was worth it, but right now the locker seems to be more distraction than solution. The charging locker only allows for 10 phones to be charged at once, a small amount compared to the 851 person capacity for the Kitchens. The Student Center is doing what they can to assure students of their safety, but more needs to be done than just distracting us with a new toy.